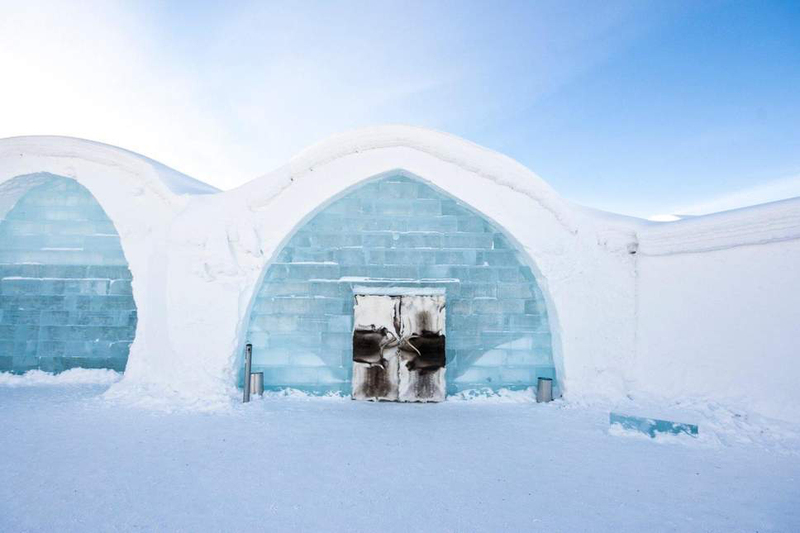 The first snowfall in Northern Sweden has arrived, and the 29th rendition of Ice Hotel is here! 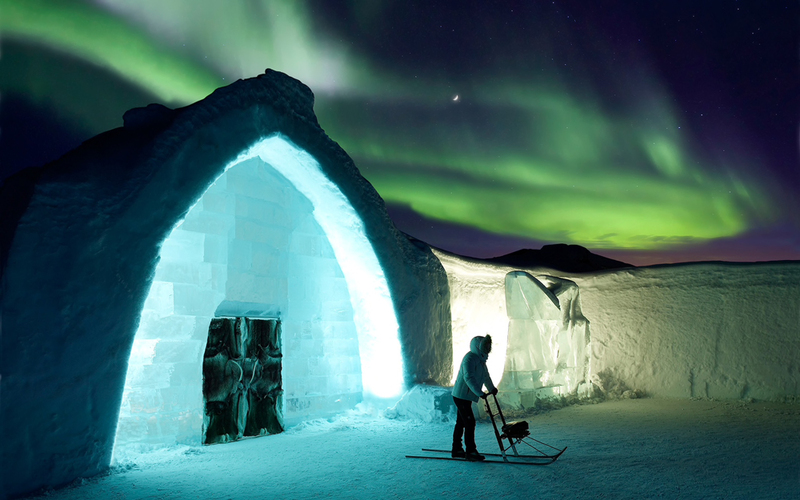 Built from the frozen Torne river in Jukkasjärvi, this year’s hotel has been redesigned by 33 artists from 13 different countries, who worked together with a building team, the ice production, art support as well as a lighting team. 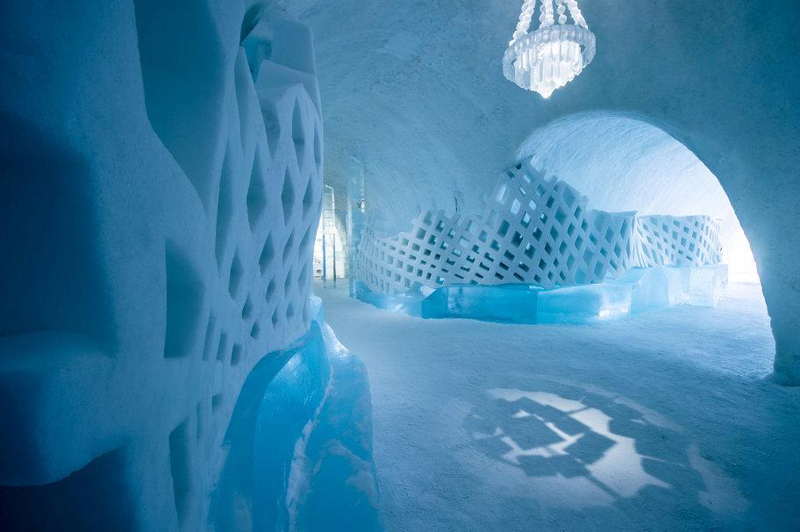 Together they created 15 unique suites of ice and snow, along with one ice ceremony hall and one pillar hall. Inspired mostly by nature, the new design is mesmerizing. 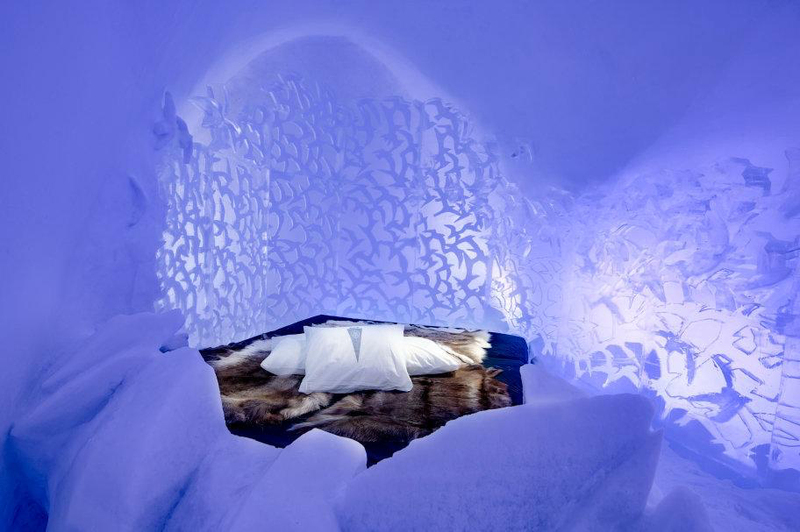 Guests looking for an ice camping adventure can sit by the “fire” in the forest (shown above), or opt for the “Living Ocean Suite” replicating an underwater environment complete with coral and fish. 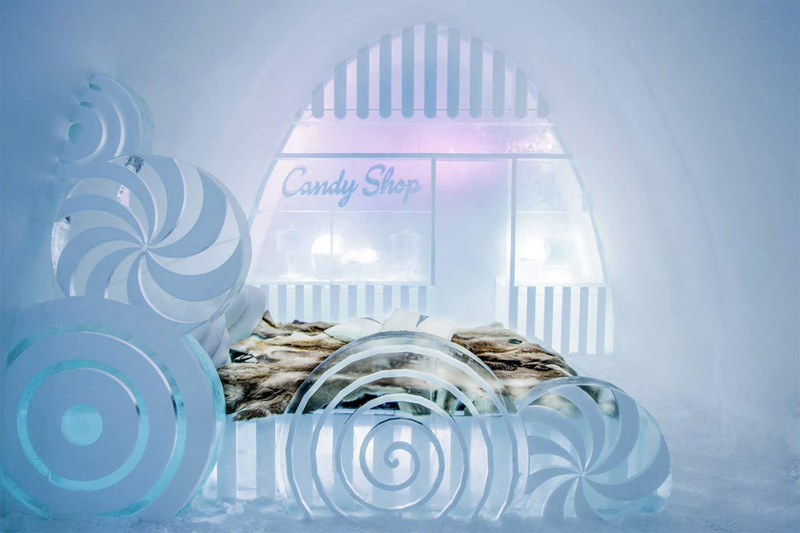 There’s even something for the sugar-obsessed guests with a candy shop filled with lollipops (see below). You can view all the rooms here. 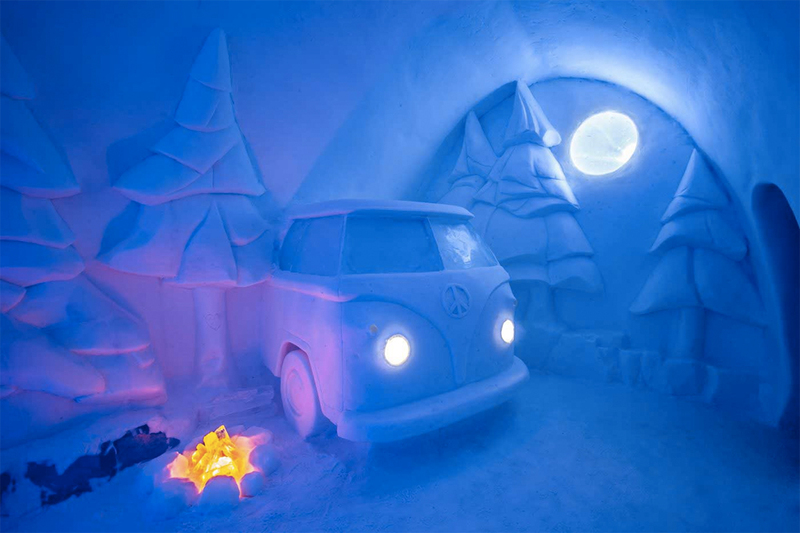 You can check out the complete list of art and artists for this year’s Ice Hotel here. Prices for 2018-19 starts from approx. 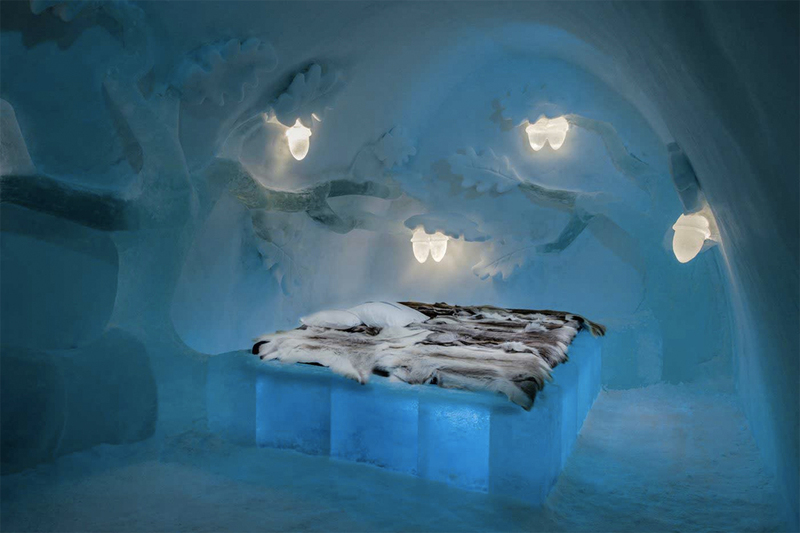 $260 per night for two adults. Looking for more gorgeous hotel design? Check out this spot in Helsinki.